Bradley Wiggins (Sky) quit the Giro d’Italia today to recover and to be 100 per cent ready for the Tour de France. Chris Froome received the nod around two weeks ago from team Sky to lead its Tour team. Wiggins presumably will go there to help Froome and provide the team with a second option. 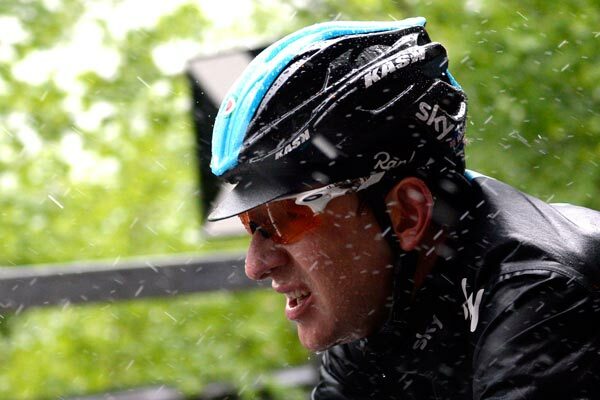 Team Sky continues in the Giro d’Italia with Colombian Rigoberto Urán as its leader following Wiggins’ departure. Wiggins had been taking antibiotics to deal with a chest infection, but was not improving. The final straw was yesterday’s rain-soaked stage to Treviso. Wiggins lost time on a small descent and was unable to follow in the group’s wheels on the flat roads. He added it is upsetting, but will recoup back at home and look ahead. “It’s something that I wasn’t able to control, so it truly upsets me to stop this way because we came here to do a whole lot more. But life goes on,” he said. The future, the Tour de France is on Wiggins’ mind. Wiggins will undergo checks in Manchester and spend time with his family at home. The team said he should already be back training this week.